During my prep period last week, I came back to my classroom after a trip to the main office and overheard some familiar language: Euclid, Pythagoras, The Elements. What’s intriguing here is that my next-door neighbor isn’t a geometry teacher; rather, my colleague Glen is a social studies teacher, with 3 sections of Western Civ each day. Excited, I popped my head into his classroom. And after some good-batured ribbing out how he was advancing on my math turf, I went back to my prep. But Glen and I later talked about our shared interest in the Greeks, which ended with an invitation to come into his class to share a brief math history lesson. I’m no stranger to the occassional cross-curriculur lesson, so this represented a fun opportunity. One on my favorite courses from my time at Muhlenberg College was “Landmarks in Greek Mathematics”, where I was fortunate to have William Dunham as a professor. His enthusiasm for math storytelling has shaped my approach as a teacher, and his book, Journey Through Genius, was not only used in the course, but is a book I often come back to for inspiration and contextual reminders of math concepts. The book both walks you through the mathematical landmarks (like Euclid’s proof of the infinitude of primes) and provides a backdrop of the places and people (like the fascinating battling Bernoulli brothers) which shaped the surrounding culture. It’s a great resource for any math teacher. 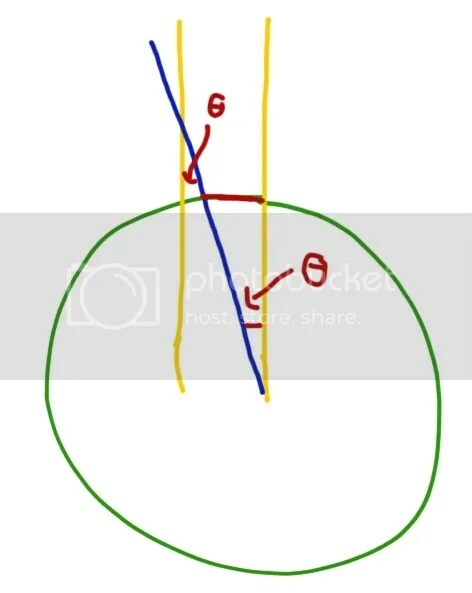 For Glen’s classes, I chose an example which 11th graders could easily understand and which would provide a glimpse into the genius of the greek mathematicians: Eratosthenes’ approximation of the Earth’s circumference. 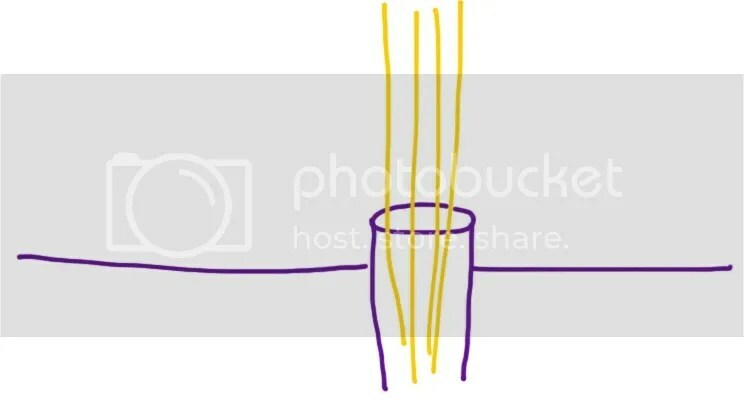 Eratosthenes observed that on the longest day of the year, sunlight would shine directly into a well, so that the bottom of the well could be seen. But that farther from the well, in other towns, this did not occur. The well was located on the town of Syene, which we now lies directly on the tropic of cancer. 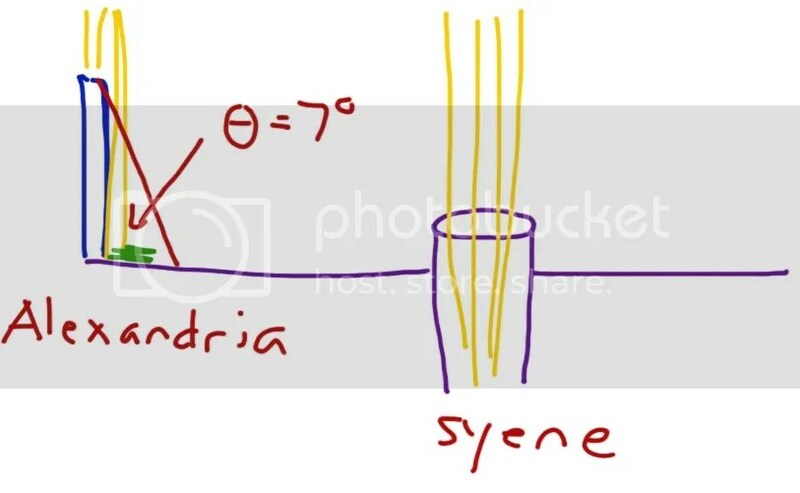 In Alexandria, a known distance away from Syene, Erotosthenes measured the angle produced by the sun’s rays off a post in the ground. Taking this further, we can use alternate-interior angles to use this same measured angle as one coming from the center of the earth. This central angle, along with the known distance from Syene to Alexandria, yielded an estimate of about 25,000 miles (or the Greek stadia equlivalent), an estiamate with an error of less than 1% of the actual circumference! Both classes I visited seemed to enjoy this math diversion in the Western Civ class, with one student wanting to know more about how the Greeks approximated pi. So find your local Social Studies teacher, and offer to bring in a little math! There are some fascinating stories to tell. This entry was posted in Geometry, High School and tagged cross-curricular, math history, parallel lines. Bookmark the permalink.